That´s something you can rely on. Well advised. We know a lot about containers. 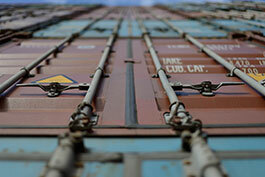 For more than 30 years we have been taking containers all around the globe and know everything about it. 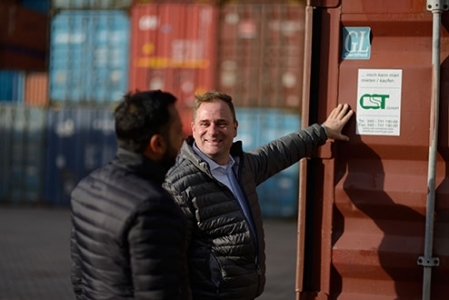 Based at the port of Hamburg, we have firmly established ourselves and have built up a strong network. 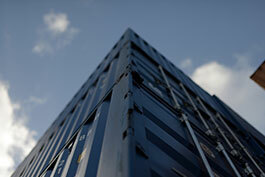 Purchasing and selling, as well as the rental of new or used transport and storage containers are our main topics. Whether standard or special containers - we deliver the right container: no matter how many. 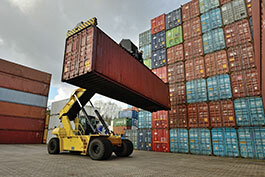 In our own depot in Hamburg-Wilhelmsburg we offer to store, repair and do the maintanance of containers. In addition, we can also offer full container storage and weighing according to SOLAS guidelines. Are you looking for modificated containers or would like to design containers according to your ideas? Our professional staff will be on hand to advise you and fulfill any given task. Furthermore we handle the transportation and on request we offer world-wide favorable transport rates with or without a crane directly to the customer. We act according to the principle of the Hanseatic maxim: honesty, reliability and fairness. Our customers and partners are primary goal of our work. Long-term relationships and trust are important to us. It is important to always have an open ear for the needs and requirements of our customers and to fulfill every wish in the best possible way. Please feel free to contact us if you are looking for a strong partnership and would like to cooperate with us in the future.